From ErgoBaby to Moby, we’ve reviewed the most popular plus size babywearing carriers and wraps just for you. 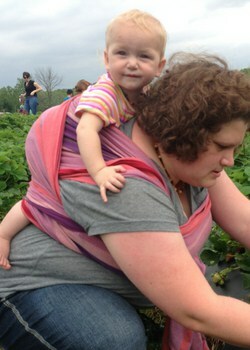 Babywearing is for everyBODY! Below you’ll see our top plus size babywearing carriers and wraps listed in alphabetical order. • Doesn’t cut in or squeeze me where I don’t want it too. The cotton is a wonderful breathable material for longer wears, and Daddy can use the same size. Plus – it’s only an XL. • I really love my Baby K’tan. It’s soft and flexible, very easy to put on and get baby into and easy to adjust with a baby in it if you need to. I am carrying my one month old regularly but I have put my 18 lb 7-month-old nephew in it as well as my 40 lb 4-year-old daughter. It’s worked for everyone! The Boba carrier comes only in one size. It is designed to fit most parents between 5 and 6’3 feet tall. • I LOVE LOVE my Boba!!! I love that it’s stretchy and breaths, unlike the moby. • Boba Organic is comfortable. It has long straps to accommodate larger body sizes without extenders. It’s nice to be able to front or back carry comfortably. • I loved our Boba, mostly because it was the only one I could find that both fit AND was slightly stretchy. I loved the t-shirt like material and that it fit dad, too. I’m 5’9″ and 450lbs, daddy is 6’4″ and 450lbs, and it was plenty big and comfy. Sizing goes up to XXXL. • I don’t leave home without my Didymos. • Didymos come in all ranges of greatness. Lots of love for a great range of options in terms of weave and colors. • Didymos, the first wrap brand. Pretty much anyone can find a Didy to love as they come in all varieties. No one thing can describe all Didys; there are just two variables! I own several Didys and have owned several that have since found new homes. • Great for beginners, thin and soft! A wonderful option for plus size moms. • Love my Ellevill wrap and my daughter does too. Ergobaby carriers fit parents of most sizes! • Ergo is easy to use and the weight limits are high. • I love the Ergo because my baby calms instantly when I wear him in it and I love that I can wear it front or back depending on the need. It’s so comfy, too, and doesn’t squish my large breasts! • Ergo is perfect for plus-sized mamas and actually feels stable and supportive. It’s just a few clicks before you’re ready to go and is very user-friendly. The Tween Tot carrier fits up to a size 26 and additional length can be added to the waist strap for no additional charge. The mei tai style carrier’s size limit can vary from size 18 – 26. As a larger mom, it was such a relief to not only feel like a carrier would fit but that I would feel comfortable wearing it for an extended period of time. The straps can be adjusted to allow for different size parents. • I love our Infantino because it has really grown with our baby, plus my husband and I can both wear it. We take our baby on errands, hiking, chores around the house, everywhere in it! • We love our Infantino it keeps baby close, fits me well, and versatile enough dad can wear her too! • I love our Infantino! I’m a size 18 and have plenty of room left in the straps. My little man loves this carrier too. My only complaint is I wish the shoulder straps were wider. The XL should fit people of most sizes. • The Maya wrap is great for plus size mamas because it’s adjustable, comes in different sizes, and is comfortable! • The Maya wrap is inexpensive and the xl gives me plenty of tail left over. • Maya wrap all the way! Super comfy and convenient. Small and portable. Pocket makes taking off nearly empty-handed totally possible. Daddy friendly and good for newborn thru the duration of toddlerhood. The optional snap tab extender is available for those who would like incremental adjustability. • Love my Mei Tei. But as a plus sized mommy with large breasts, I have a tough time double wrapping the straps like they were designed to. • I loved my Mei Tai for my babies. It was a great wrap because I’m a big girl and hubby is not so big but it is easy for both of us to use and very secure for baby to be in. The Moby Wrap is 5.5 meters long and will fit larger parents. When wrapping, you would simply tie a knot at your back. For our customers who prefer extra length, an extra long Moby Wrap (6 meters) can be purchased. • We loved the Moby when our son was younger! It had a nice stretch for maximum comfort but was also secure. Great alternative to carrying a bucket seat everywhere! • Moby Wrap takes the pressure off and evenly distributes baby’s weight on your body. It has many positions. • I loved my Moby Wrap when my son was a sleepy newborn. I was worried that it wouldn’t fit at first (I am a size ~26), but it fit with some extra fabric even! There is a lot of adjustment in the straps to allow for different size parents. Be sure to review the measurements for the type of carrier you’re interested in purchasing. • I’m a size 22/24 and LOVE my Tula. I even have extra room with the straps. • Tula is the most comfortable carrier I own. 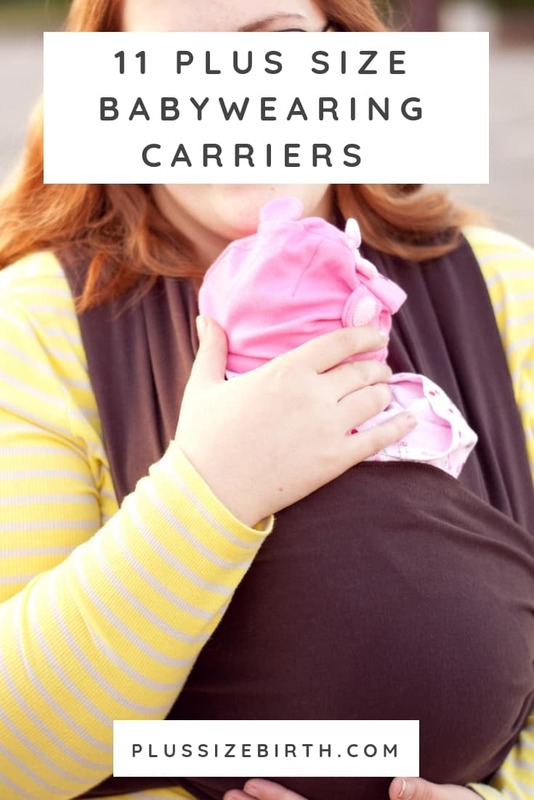 • I own many carriers but my Tula is my go-to! Watch the video below of real plus size moms babywearing! If your head is spinning from all of the options above or you just want to save money you can try out the DIY approach. 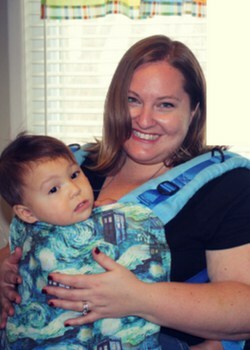 Google “Homemade” or “DIY” babywearing and you’ll see lots of great suggestions. 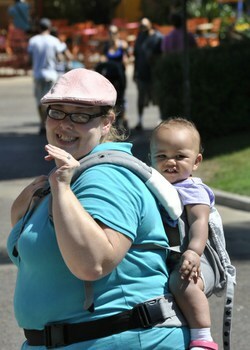 Still not sure what plus size babywearing option is best for you? Check out the incredibly helpful and supportive Babywearing for the Plus Sized Mama group on Facebook. 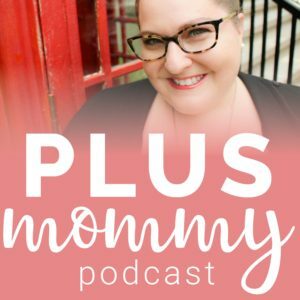 Also the Plus Mommy Podcast episode, Plus Size Babywearing And Postpartum Support Tips For EveryBODY. Due in May with my first. not really sure which direction we are going in baby wearing. By the way, your blog is extremely awkward to navigate on a mobile device. I can hardly see to enter the contest and had to reply to someone in order to comment. for some reason my android won’t let me enlarge the screen any and the article runs off the side. My favorite wraps are Kokadi and Oscha definitely. I love something cushy but supportive for my toddler and hopefully a new rainbow baby soon here! thanks for this fantastic post! I am digging the Moby and the Boba carriers! Thanks for this awesome post! I have found it difficult to find babywearing options for plus size people so this will help tremendously in my search for the perfect carrier(s). Do you know of any plus size wrapping tutorials? Thanks for the wonderful guide. I’ll post this helpful link to more baby wearing sites! It would be such a blessing to win one of these carriers or wraps! I have only ever tried an infantino but my dream is a Kindercarry or Boba! 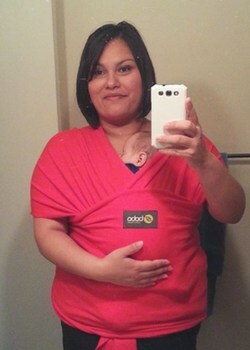 I am looking forward to trying my Moby wrap when my baby arrives in March! My first is due in May and I can’t wait 🙂 We definitely are going to babywear, but it’s tough knowing which one to pick. The ergo has been the perfect carrier for my husband and I. Now that we have baby #2 on the way we need 2!!!! 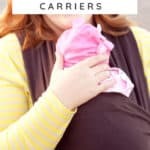 I’ve tried different carriers, and so far I like the Moby, but I’d love to try the Kindercarry carrier!!!! 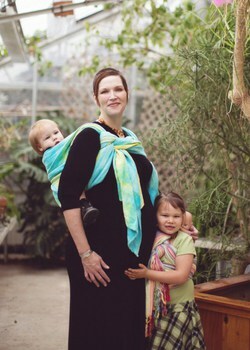 I LOVE babywearing my twins! I currently use the moby at the moment…I am looking into purchasing a Beco as I have never tried an SSC and would love the ease of use. How awesome! What great info! I loved my Moby when I first had my little girl, now she’s a hefty 2yr old and I find myself always reaching for my Storchenwiege. I love it! It’s sturdy but soft, comfortable and so versatile! I’m currently using a ring sling made by Jan at Sleeping Baby Productions. She does AMAZING and is very size friendly. 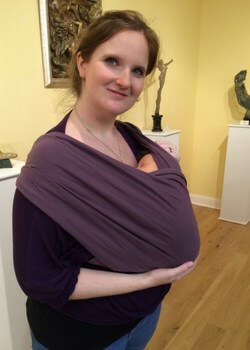 I’m currently using a ring sling made by Jan at Sleeping Baby Productions. She does AMAZING work and is very size friendly. 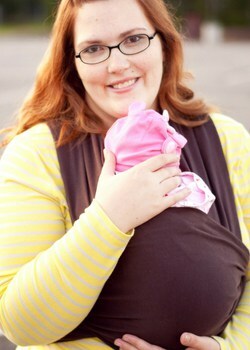 My favorite plus size baby carrier would have to be my size 7 storch wrap. 🙂 Good for so much! Love our ring sling but I feel like I NEED a Kinderpack!! 🙂 Thanks for the giveaway!!! I love the babyhawk mai tei!! I love my bloo kangaroo mei tai! It was one of my first carriers. It had really long straps and goes around me and the little one with plenty of strap left. I’ve just started learning about wovens and can see how great they would be for plus size moms. Thanks for the opportunity to win a great carrier!! Moby Wrap is my favorite so far! Sorry hit enter too soon. I have only had a chance to try a Moby. I love my toddler sized bloo kangaroo! It fits both me (size 16) and dh (280 and 6’2″) comfortably! Probably my favorite plus size babywearing item is a standard ring sling with unpadded rails (as the vast majority have now). They are easy to adjust, go between different sized wearers easily, and commercially available models will fit most women up to 24 easily. My Kinderpack is by far my favorite carrier for my almost three year old! i love my sbp RS! I have an 8 week old and it’s working great for us. I also Love my half buckle by two mommas designs. My first carrier and I can’t wait for my little guy to fit it. Awesome and totally helpful!!! Thanks so much!! I am loving the Moby wrap and I can’t wait to use one with my future child! Thank you for this post as I definitely want to baby wear! I’m new to babywearing, so I don’t have a favorite yet! I’m hoping I’ll get to try a new carrier out! I love woven wraps and kinderpacks! My favorite carrier would be my didymos wraps!! 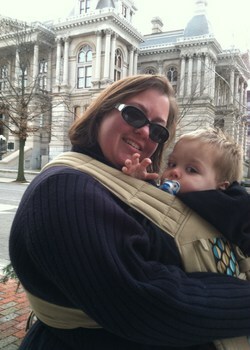 My favorite carrier is my Infantino Sync Wrap, though my WCMT is slowly taking its place as my favorite! I absolutely LOVE WCMT carriers and woven wraps. They are beautiful, versatile and can fit pretty much any size! Love this article and site! As a plus size mother it has been so insightful, inspiring and helpful! We love our ergo sport! Would love a bigger tie wrap. My ergo is awesome though, never leave home without it! Well so far i’ve only used my DIY mei tai and ring slings.. love them both equally! I love your website, such a great resource for fluffy mamas!!! and hey who doesn’t love a giveaway? I love my wraps and my Tula! Love the update and all of the options presented! I’m so thrilled to be one of the models, too! I have the beco butterfly but was looking to add another wrap. Thanks for the great resource and giveaway! I wish i had something like this with my daughter! 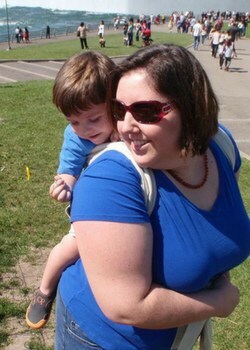 I love my Beco Gemini for plus size babywearing. I like my Beco Gemini. I used a Boba SSC with my younger son. I loved it! 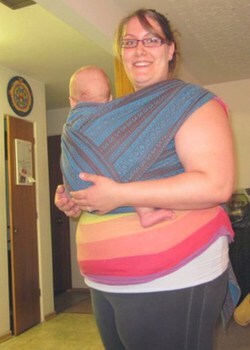 I am pictured here for both Didymos and Oscha wraps, woven wraps are by far my favorite carriers! They have a bit of a learning curve but are completely portable, adjustable, and comfortable for any size! I’m due with my first in Feb, and I hear lots of great things about Ergo and Mei Tai. Can’t wait to try one out myself and wear my baby! 🙂 Thanks for all the great reviews. I haven’t been able to find a carrier that works for us. I have a ring sling but H is 11 months old and is very interestedinterested in our surroundings and not being stuck to momma. I wonder if he just doesn’t like it, period? Even as a noob he wasn’t interested. Anyway – I’m looking forward to trying any and all carriers. I love my moby and ergo! I am due with #2 in December. With my daughter, I used the Moby. I had no idea all of these other options were available (I’m a size 4x). I would love to try out some of these other carriers! I love my Moby Wrap. It was great when my little guy was smaller. I just got a Boba Organic ssc and I like it. I tried on a Baby Hawk and it was nice. My little guy went from fussy in the umbrella stroller to happy in the carrier as soon as I put it on. I can see myself becomming a baby carrie/wrap collector because of all the choices in colors and styles. I really like the mei tai that I made myself but would love to try wrap. I am in love with the ergo! The Tula is my favorite or so I thought! Our first it’s due in April and I’m just starting to research what kind of carrier or wrap to get. Definitely looking forward to babywearing! I haven’t used any wraps yet, but I love my evenflo carrier! I’m not a mom yet, but we’re TTC at the moment. So I don’t have a favourite carrier yet, but I’m hoping I will soon be a mom and have a chance to find out which one I like best! I made my own wrap carrier for my son, and I loved it but now he’s getting so big, it uncomfortable to carry him. I’ve been lusting after an ergo or a babyhawk. I’m dying for one! My favorite has to be the Ergo. It’s so versatile and easy to switch between users 🙂 A close 2nd is the Maya Wrap RS-great for those newbie days! We are trying to prepare ahead of time for a baby. We will be starting to TTC at the end of the year. My favourite is my natibaby turquoise and pink dandelions but I don’t have many carriers or much experience. I love woven wraps but I’d really like to try a kinderpack especially because I’ve heard great things about them for carrying heavy toddlers and my 3 month old is already 16 lbs and 26 inches long! My favorite plus sized baby carrier (so far) is the Ergo Performance. The waist extends quite far and the curved shoulder area makes for less underarm rub. My favorite is my babyhawk mei tai. I just got an oh snap but I’m still getting the hang of the fit. My favorite of these is just a general wrap- most versatile. That, and my Kinderpack! My favorites are my Oscha wrap and my Boba SSC! Love babywearing, but cant afford most wraps. This would help us so much! I’ve only tried the Moby and some structured carriers. I am looking forward to trying new types with my second son! I teach a babywearing class and will be using this blog as a reference for all the plus size mamas that attend! I have a moby wrap. I have had my eye on the Mei Tai though! Im not sure what my favorite baby carrier is! Didnt get to try any with my daughter. I am now due in January and am looking at all my baby wearing options! I have seen so many women with the Moby so its something im looking to invest in. I think the k’tan or the moby would work best for me– they seem flexible. I was so excited to buy an Ergo with the waist extender only to discover that they’ve stopped making them. Which for this plus sized mama (24) means I’ve gotta take my business elsewhere. I want to try baby wearing but I’m worried I will be to hot? Kimberly it can get a little warm but not as sweaty as you’d imagine. I’m a size 26/28 before baby, about 385 lbs. wondering if there is a baby carrier big enough for me? Registering on amazon.